Bodilight News & Special Offers At your fingertips! The festive period is fast approaching and that can only mean one thing……party time! What better way to get yourself ready then with a shellac manicure? Shellac is a gel nail varnish created by the brand CND. It is applied to your natural nails, set under the UV lamp and can give you up to 2 weeks of a smudge and chip free manicure. Perfect to see you through Christmas and the New Year! I am someone who loves having my nails painted, especially over the party season. With their huge range of colours there is definitely something to suit everyone. From pale pinks and nudes to mulled wine reds and festive sparkles. If it is more of a classic look you are going for, then you can always opt for a French Manicure. Our natural nails have oils on the surface and this can cause nail varnish to chip easily. This is something that you do not have to worry about with Shellac. The therapist will start by gently buffing your nails to remove any excess build-up of these oils and once your cuticles have been pushed back the base coat can be applied. This is set under the UV lamp before the colour of your choice is painted on. Each layer is carefully cured and finished with a top coat that seals in all of the edges. Shellac will stay shiny for 2 weeks and, if you are careful, you can make your manicure last longer depending on your nail growth. It is also thicker than a normal nail polish meaning that simple tasks, like grabbing keys or opening cans, will not chip the polish. Bonus! Keep your skin and nails moisturised to help extend the life of your shellac manicure. The cold weather especially dries out the skin on the hands, because of the lack of moisture in the air. Use a rich moisturiser or a cuticle oil to keep them looking smooth and healthy. Top tip for making your manicure last longer…If you are like me and you seem to be constantly cleaning something, then I suggest that you wear a lovely pair of rubber gloves! They may not be the most glamorous BUT they will protect your nails from the chemicals that are found in cleaning products. The good news is that shellac is not limited to just your fingers, you can also have it applied to your toes. The perfect solution to the lengthy drying time in the cold weather when you just want to put your socks back on! Once you have enjoyed your manicure for 2 weeks, it is very important to have it removed professionally. The temptation is always there to peel it off, try to remove it yourself or even worse, have it removed by someone with an electric file. It does not take long to have the Shellac soaked off and this method causes the least amount of damage to your natural nails. It does not require harsh filing on the surface of your nail which will weaken them. A strong nail means a strong base and the good news about going back to the salon to have it soaked off is that it is the perfect excuse to have it reapplied! There has also been a lot of news recently about the safety of using a UV lamp to cure nails due to the repeated exposure of UVA to your skin. Studies have shown that the level of UVA your hands will be exposed to during a manicure is not high enough to increase the risk of anything nasty however, if this is something that you are concerned about then I suggest applying a sun factor to your hands 20 minutes before visiting the salon. This gives your skin protection, just like how it would in the sunshine. If you are after a more durable manicure, with a colour that will not fade or chip for at least 2 weeks then this is definitely for you. 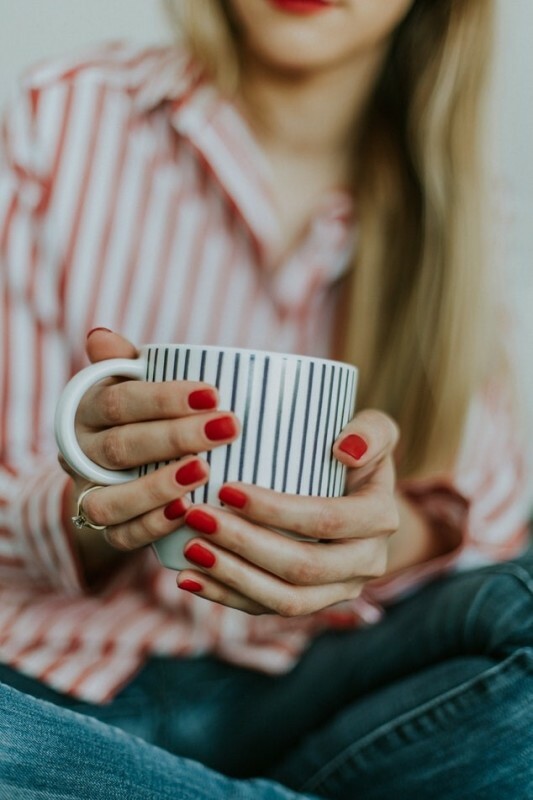 This time of year can be especially busy for us all and having a Shellac polish will eliminate drying time that comes with usual nail polish. It also means that you do not have to have it reapplied as often. I book mine in every 2 weeks without fail. My final tip…Over the festive period I always have my shellac applied on Christmas eve, or the day before to avoid the rush, and it still looks amazing for New Year’s Eve. A Shellac and Gelish manicures are available at Bodilight, book yours now and avoid disappointment as the festive appointments are going fast.